KANGEN WATER COST vs BOTTLED WATER COST. I met a lady who says our machines are expensive. So I asked her, whats her alternative? She says she can buy alkaline water up the street from her house for $5.00 a gallon. I say wow that ‘s a bargain.. She agreed and said its convenient to go everyday and buy the same type of water for $5.00 a gallon. I then asked her did she plan on drinking water for the next 15 years? She said “you betcha” So I did the math for her and figured out that $5.00 a day for 15 years is over $27,300.00. She said WOW, maybe its not such a bargain after all…So I told her our top selling unit is $3980.00 plus tax. Its called the SD~501. So If you divide that over 15 years and its .73 cents per day. $1,456 x 15 = $21,840 over a 15 YEAR PERIOD. BUYING A__LeveLuk SD501__ KANGEN WATER MACHINE … Enagic’s top selling unit. __$0.73 PER DAY. How many people in your household? 265.72 X 15 = $3,985.80 OVER A 15 YEAR PERIOD. 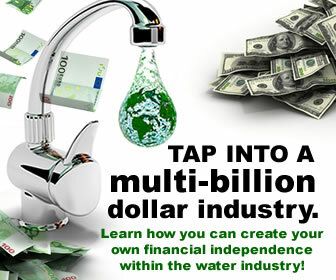 Kangen Water Systems are made to last a minimum of 15 – 20 years and can cost you less than a $1.00 a day for you and your family. 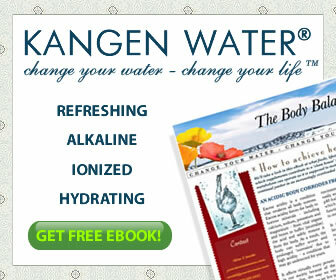 All the Kangen Water you can drink, give away, cook with, sterilize, and degrease. plus your not adding to the environmental disaster in the ocean of plastic bottles. And best of all I never have to buy bottled water EVER!! Affordable payment plans . Payment as low as $44/month! – $14/month with Sunus. GET APPROVED TODAY! This entry was posted in Kangen Water and tagged Bottled water, Cost, Drinking water, kangenwater, Water ionizer. Bookmark the permalink.